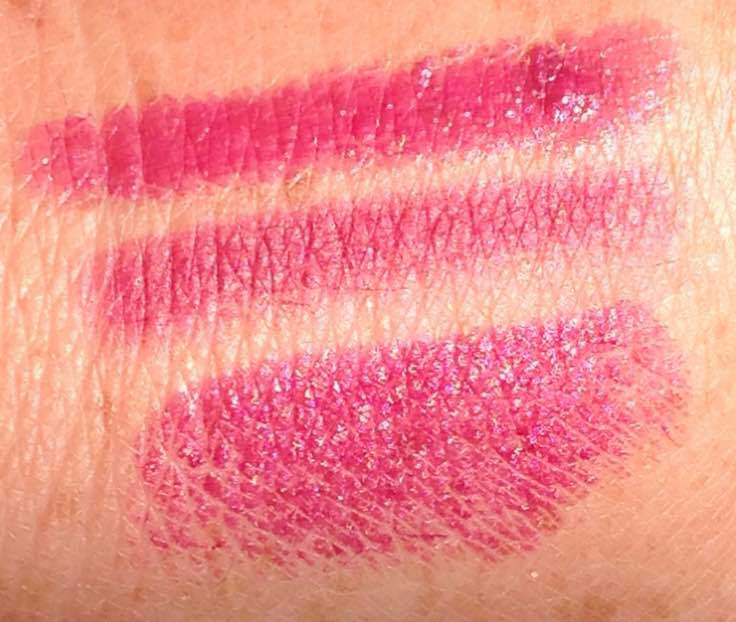 The three products are Clinique Chubby Stick Intense in Grandest Grape (€20) (top swatch), Nars Velvet Matte Lip Pencil in Damned (€26) (middle swatch) and MAC Rebel (€20) (bottom swatch). There are some differences in the products in terms of finish and longevity so maybe I can justify owning all three! Grandest Grape is very moisturising and leave a nice sheen on the lips. It lasts a few hours before it needs topping up and is very comfortable to wear because it is a balm. Damned is the longest lasting of the three products and I love that it isn't completely matte. I absolutely adore the formulation of these Nars lip pencils and think that bright or bold colours look best when they are matte, or semi-matte. Rebel is a satin finish lipstick. I love this lipstick already and thankfully, it isn't as scary as it looks in the bullet. I know that I will be wearing this A LOT over the next few months. So do I need all three? Not really - the colour is pretty similar, but the finish is different so if you like this colour, then you should decide what finish you prefer and decide from there! 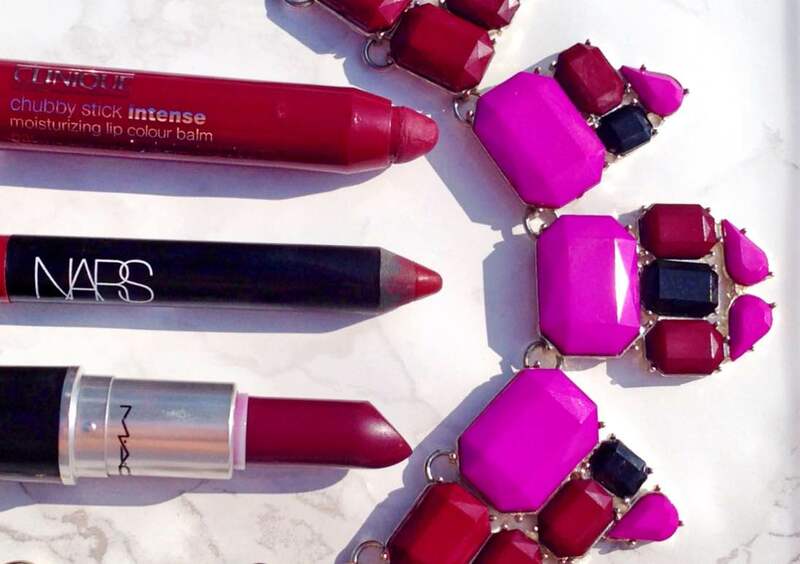 Do you like berry toned lips for autumn? I can't be the only person who buys several products in the same colour - make me feel better & tell me what shade you're a sucker for!